ProRelo Bekins is your moving solution for every imaginable moving situation, regardless of size and distance. We also offer exclusive white-glove home delivery solutions across the entire state of New Mexico and parts of Texas for brokers and retailers. ProRelo means Professional Relocation and it’s not just a catchy name, it is our mission each and every day we get the privilege to work with our diverse clientele. We will do a move two houses down the street with the same expertise, care, and friendliness that we would for a relocation across the globe to another country. We handle all sizes of moves too. From moving just a piano, or packing up crystal in a kitchen, all the way to massive institutional relocations that require major planning and months of work. Here at ProRelo, we have literally moved it all, AND moved it everywhere, so there is no moving situation that we don’t readily have a solution for. However, ProRelo is unique amongst licensed movers. 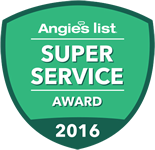 We are literally the ONLY mover in New Mexico with an exclusive rate structure that allows us to give BIDS, not estimates for our work. By giving our pricing up front, we avoid the entire hassle of “low-ball” estimates and a surprise bill that could delay your delivery. In fact, we think “lowball” estimates give the whole industry a “black eye”… Here at ProRelo, giving guaranteed prices is just the right thing to do for the client. However, if you want an estimate instead, let us know. If not, we automatically will give you a price guarantee up front, no need to even ask us for it… We provide all levels of service: packing, moving, secure storage, and valuation options that fit your needs and budget. Call or email us for a free in-home quote. ProRelo stands for Professional Relocation. We are the New Mexico interstate agent for Bekins Vanlines, an esteemed company virtually synonymous with the interstate & cross country moving industry. Why is that? 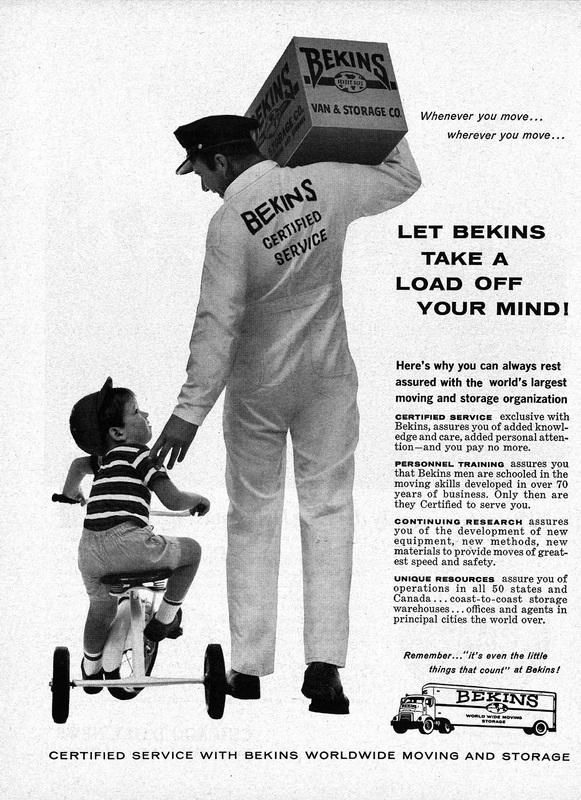 Bekins is the oldest continually operating vanline still in existence today. Bekins began interstate moving way, way back in 1891. 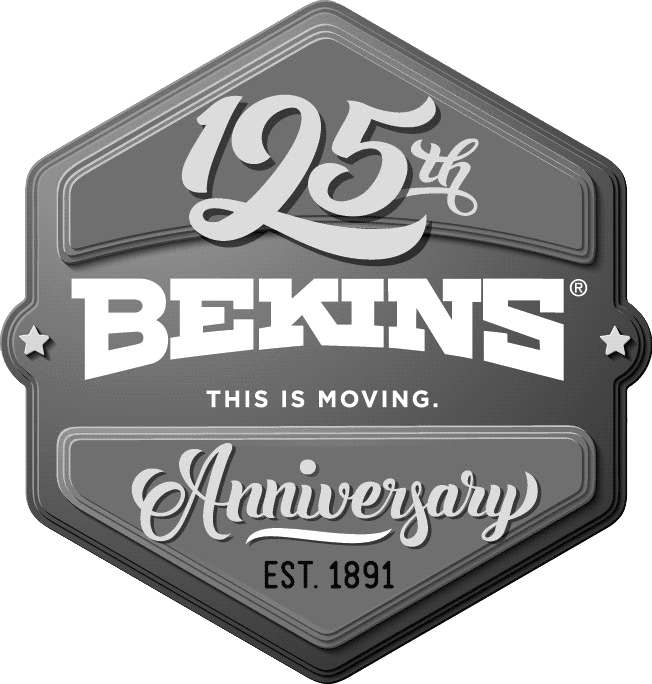 This degree of longevity makes Bekins Vanlines the undisputed market leader and innovator in the interstate moving industry. None of our competitors have the history that Bekins does… ProRelo is proud to be amongst its 400 agents worldwide. We do customized interstate moves of all sizes and service levels. We can customize your move to be completely “no touch” for the customer, even down to unpacking every last box at your final destination, or customize a move that fits right into a strict budget. We understand that every move is different. What never varies is our commitment to providing a valuable service from start to finish. We provide all levels of service: packing, moving, secure storage, and valuation options that fit your needs and budget. Call or email us for a free in-home quote. International/Overseas Moves: ProRelo is your one-stop solution for moves that are destined for any other country, Hawaii, and Alaska. Along with Bekins Vanlines and our extensive network of international partners, we have the experience, knowledge and access to resources to make your international/overseas move a seamless process from start to finish. Not only do we provide the expected packing and multi-modal moving and transportation services, we can also assist with more complex issues related to the specifics of your destination country. If we don’t know the answer to your question, we know someone that does…We stay in touch with our customers during the entire process, from the time of the estimate down to the unpacking and packaging removal at final destination. If you need this type of move, we are the best choice in New Mexico. Call or email us for a free in-home quote.